Dry, irritated skin? Winter Warming Ritual to the rescue! As temperatures plunge and the air becomes drier in winter months, your skin may take a turn for the worse. 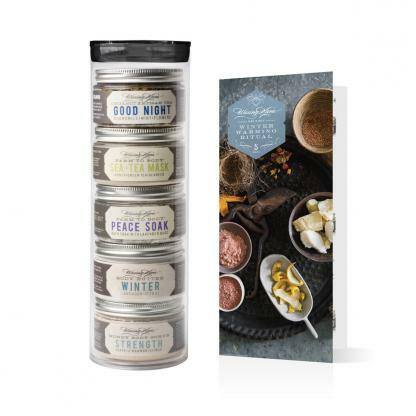 This home spa treatment revitalizes your mind and body with a natural soak, scrub, butter, mask, and herbal tea. Winter is the hardest season on the body. Cold temperatures and artificial heating combine to deplete nutrients and moisture from your skin. 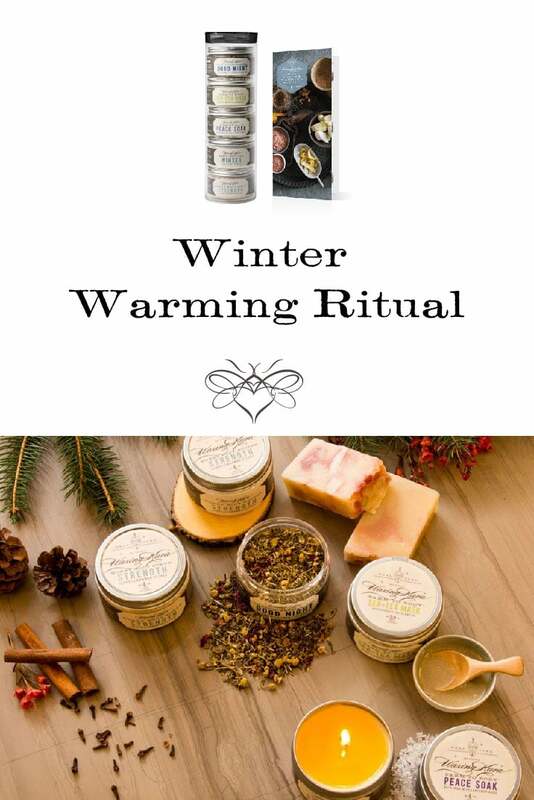 Winter Warming Ritual is made with carefully selected ingredients to brighten and detoxify the skin. Enjoy this indulgent spa experience in the warmth of your home, no matter how badly Jack Frost is acting up outside. Peace Soak: dead sea salt and lavender buds to ease sore muscles. 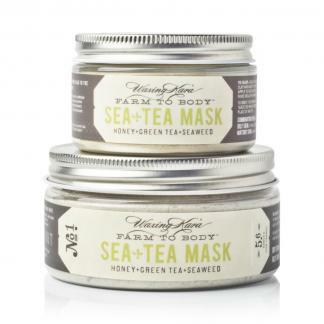 Sea+Tea Mask: sea kelp, green tea, honey and kaolin clay detoxify and renew skin. 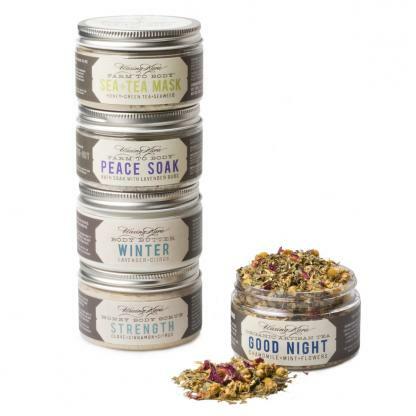 Strength Scrub: organic honey and sugar body scrub with clove, cinnamon and citrus to cleanse and invigorate. Winter Butter: warms and soothes skin with the powers of honey, shea, and lavender essential oil. 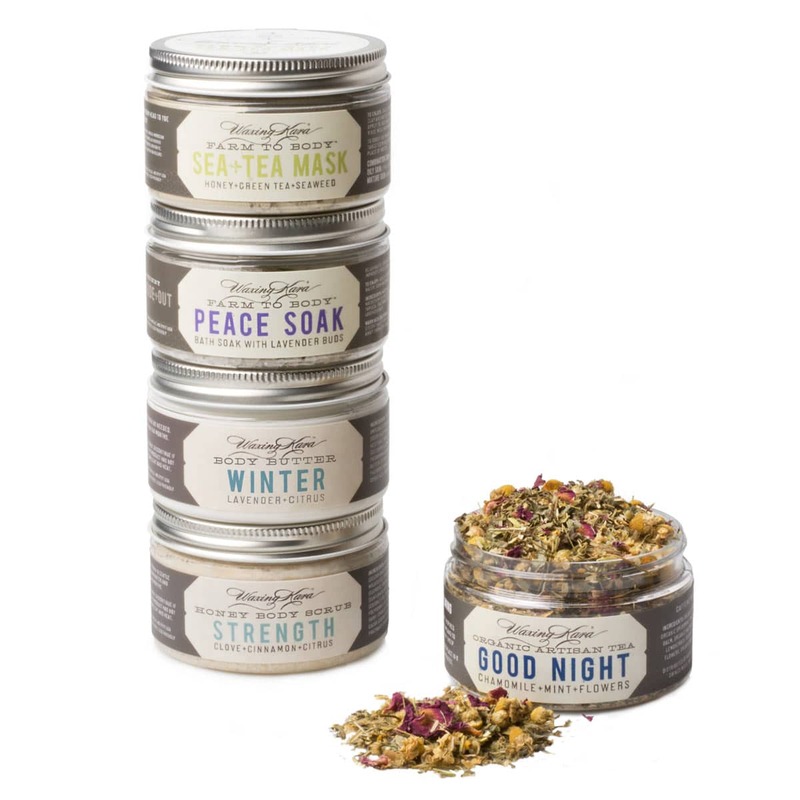 Good Night Tea: chamomile, spearmint, lemon balm, valerian, lemongrass and passionflower that brew a great cup of tea with a kick of antioxidants. Best enjoyed before bed. Step 1 – Dry Brush the skin to remove excess dead skin cells. Step 3 – Cleanse and exfoliate with Waxing Kara Strength Scrub. Cinnamon and clove essential oils mingle in our delightfully warm aroma blend. Used for centuries, these celebrated oils have been revered as elixirs which protect against disease and fight infection while boosting the immune system. We balance pure essential oils, with honey crystals, shea and butters to create a 100% natural scrub to banish dull, dry skin. Step 4 – Fortify and protect with Waxing Kara Sea + Tea Mask with Honey, Seaweed and Green Tea. Envelope your skin with our innovative blend of exotic clays, pure sea kelp and nourishing honey. This mask works overtime to deeply cleanse pores and remove toxins while the healing power of honey enriches and fortifies from head to toe. Step 5 – Massage freshly-cleansed skin using Waxing Kara’s Strength Body Butter. Lock in nutrients and seal the skin with our proprietary blend of Waxing Kara Honey, cocoa butter, and sweet almond oil. The result is buttery soft skin that’s enriched and empowered to face bracing temperatures without missing a beat. Step 6 – Relax pour a cup of Good Night Tea and sweeten with a little Eastern Shore Honey. Listen to inspiring music. Relax your body and mind.